Chevaux Group is pleased to offer yet another stunning listing in the beautiful gated Lake Conroe Subdivision of Point Aquarius. 12275 Sagittarius Drive is a lovely 4 bedroom single-story home that is directly across from the lake! Your boat slip is within walking distance so that you can enjoy those lake activities in a snap! You will enjoy touring this home as it is perfectly decorated and super, super clean! Along with the four bedrooms, there is also a lovely study! The entire home is either tile or wood giving the home a truly polished and clean look. Granite, high ceilings, screened-in back porch, patio, extra outdoor lighting, and gorgeous custom window treatments add a ton of value to this home! Oh, and don't miss the THREE-CAR garage on this one! Wow, really hard to find single story home with these amenities for only $205,000! What a tremendous value! Forgive the yard as we have all suffered through a tough summer with the drought. In no time at all this lovely yard will bounce right back and be green and beautiful! 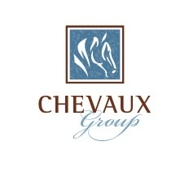 Chevaux Group are your real estate experts and we are here to assist you with all of your real estate needs. Give us a call today!